During the week-long Spring Festival holiday, Hunan’s tourism revenue reached 8.206 billion yuan, an increase of 18.18% from last year. The number of tourists during the holiday topped 14.4217 million, up 18.09% from the same period last year. Changsha, Hengyang and Xiangtan received more than 2 million travelers. Scenic areas throughout the province celebrated Chinese Lunar New Year in different ways such as folk custom to greet spring ploughing in Tongdao Dong Autonomous County, get-together feast in Jianghua Yao Autonomous County, lantern show in Fenghuang Town and temple fair in Wugang City. These traditional celebrations attracted throngs of visitors from neighbourhood provinces and cities. The cities along Shanghai-Kunming High-speed Rail and Beijing-Guangzhou High-speed Rail surged in their tourism income, such as Loudi, Huaihua, Yueyang, Hengyang, Chenzhou and Yongzhou, with the tourist source market expanding to Yangtze River Delta and Pearl River Delta. During this holiday, Loudi received tourists of more than 700,000, up 19% from last year and tourists to Huaihua hit 1 million. Countryside sight-seeing, hot springs, temple blessings and major scenic areas remained popular. 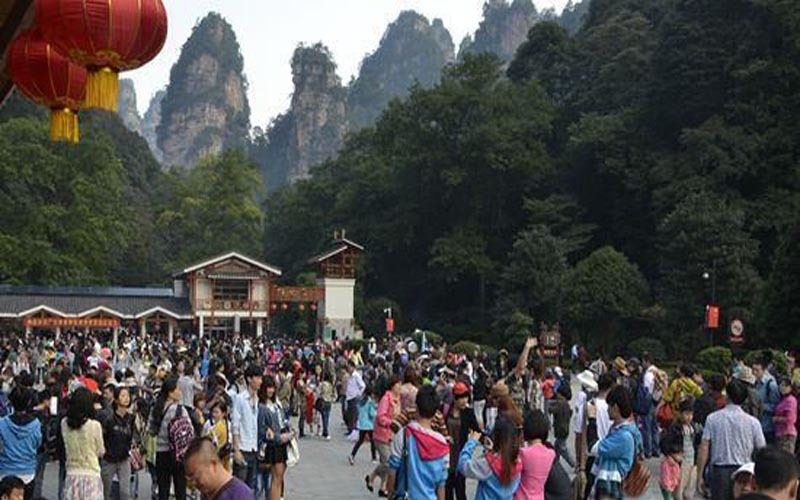 The number of tourists in a single day exceeded the maximum daily reception capacity for 6 consecutive days in 7 tourist attractions including Dehang Miao Village in Jishou, Fenghuang Ancient Town, Nanyue, Hongjiang Ancient Commercial Town, Langshan Mountain, Junshan Island of Yueyang Tower and Linfang Ecological Tourism Village.